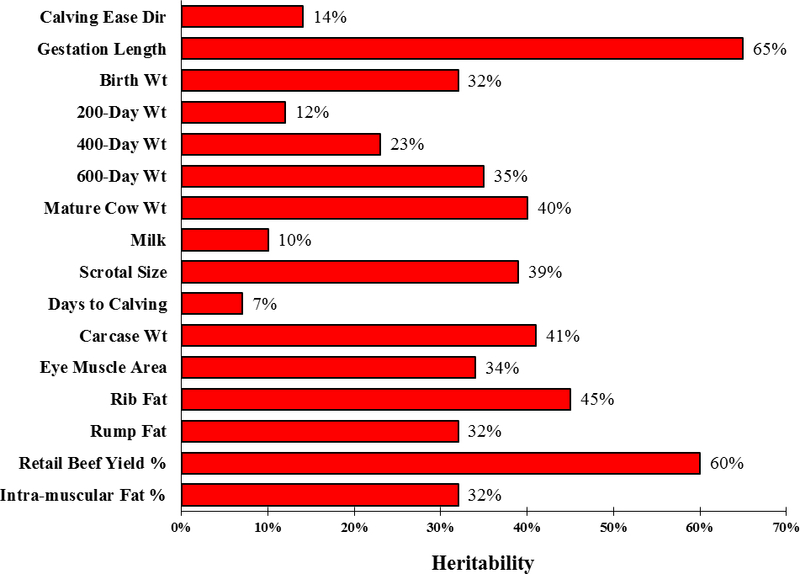 Heritabilities of Traits in Angus Group Breedplan. Only part of the variation that we observe among animals is due to genetic differences. The majority of the variation is generally due to non-genetic factors such as differences in environment and nutrition. The degree to which genetic differences influence performance varies from trait to trait. This is explained by differences in the “heritability” of the traits. Growth and carcase traits tend to have moderate to high heritabilities (i.e. 20 to 60%), whilst maternal traits have low heritabilities (10% or lower). Angus BREEDPLAN takes into account the different degrees of heritability of various traits, and the known genetic relationships between the traits.